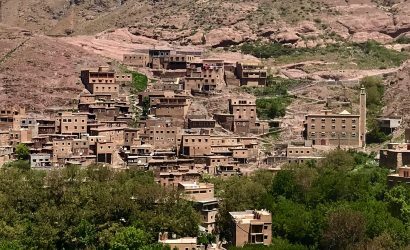 Located about 90 minutes outside of Marrakech, Imlil is small mountain village in the High Atlas Mountains and a great way to seek a cooler environment for the day. Sitting at 1,700 m above sea level Imlil is the base most used by hikers and climbers who are setting out to summit Mt. Toubkal located in the same valley. From Imlil, it is possible to hire a local guide and mules with muleteers to help guide you on day hikes around the valley. Imlil is picturesque, rural and traditional and a must-see destination for anyone who wants to experience real life in the mountains.